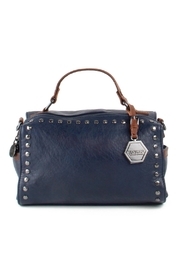 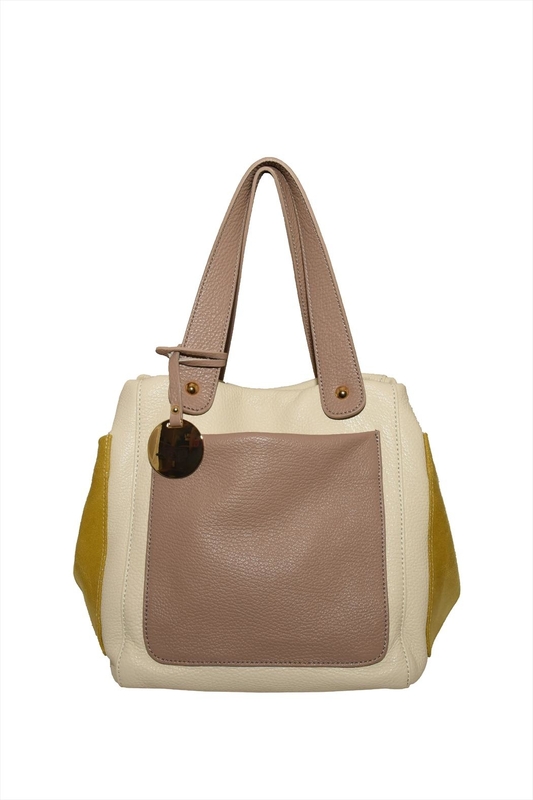 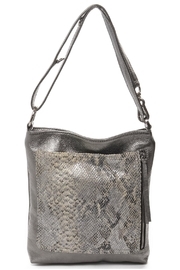 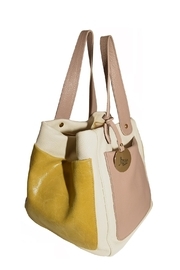 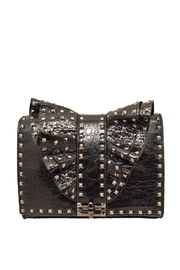 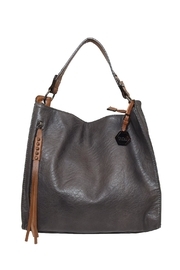 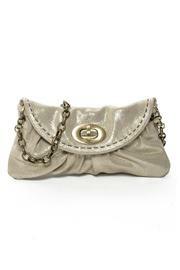 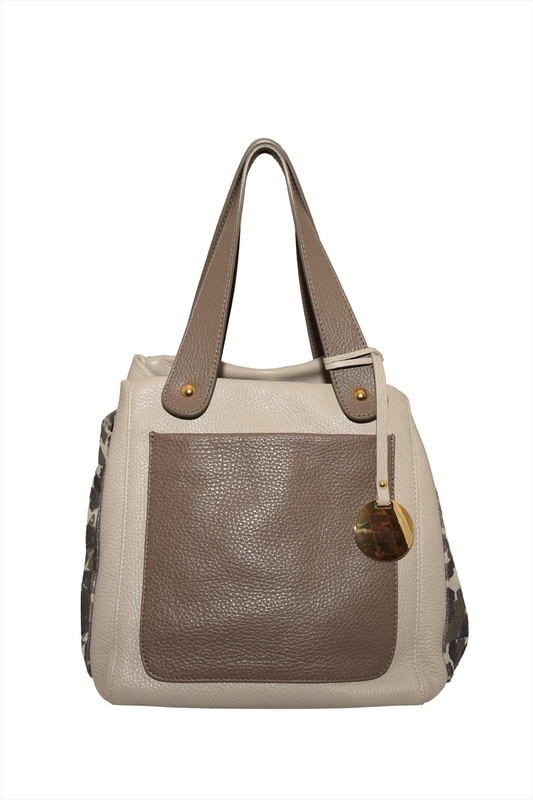 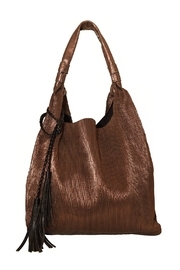 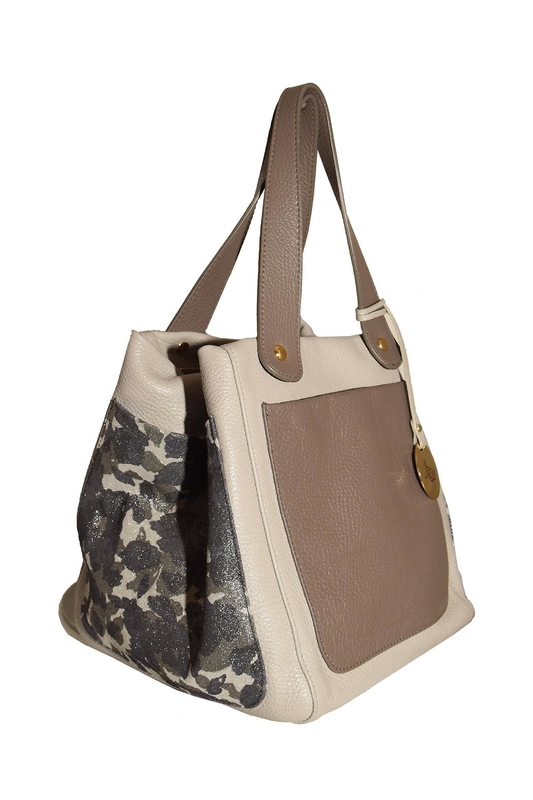 This shoulder bag is made of DOLLARO leather with a top zip closure, nickel hardware in gold color including 5 bottom feet. 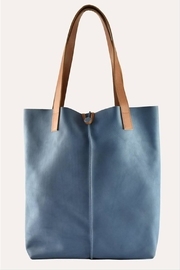 Featuring a cotton interior lining, 2 open side pockets and 1 zippered pocket. 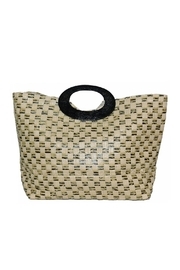 Bag measures: 10.25” W x 9” H x 9” D.